Gregg Stone’s artistic career consists of Art Director at Orange Coast College Media Center, Airbrush Artist, illustrator for publishing company in Los Angeles and an exhibitor at The Festival of Arts in Laguna Beach since 1999. Graduate of Art Center College of Design in Pasadena in 1978, Gregg has been trained in traditional design and composition. He has had numerous exhibitions in US and Mexico. He is also award-winning, signature member of the Western Federation Watercolor Society and experienced competition judge in both the US and Mexico. For more info: www.greggstonegallery.com . 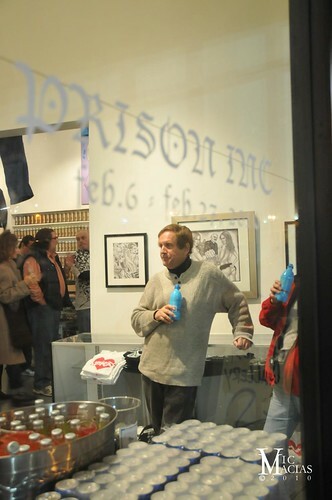 Gregg Stone is the curator for "Prison INC." showing from Feburary 6th 2010 through February 27th, 2010. Labels: artists, crewest, curator, downtown L.A., gallery, Gregg Stone, Prison INC.